A £9m video gaming research and development hub based in Dundee has been announced. The InGAME project will provide space for artists, designers, writers, and business specialists. The project is being led by Abertay University, in partnership with the University of Dundee and St Andrews University. It will also provide industry experience for students from all three universities. The project's partners include 4J Studios, BBC, Beano Studios, and Outplay Entertainment. The majority of the project's funding will come from the Arts and Humanities Research Council. 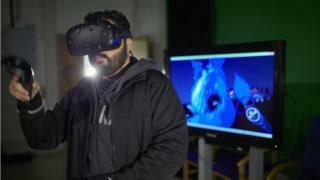 Prof Gregor White, head of Abertay University's School of Design and Informatics, said: "This is a really significant investment for the Dundee games industry which will have benefits for studios across the UK. "As well as pushing forward new technological innovations, we will be seeking to find innovative solutions to some of the challenges faced by games companies, including the management of financial and sustainability risks associated with developing original material."